Breaking down the best way to beat the Headless in Sekiro: Shadows Die Twice. As players work their way through Sekiro: Shadows Die Twice, many find themselves wondering how to beat certain enemies including the Headless mini-boss that lurks around Ashina Outskirts. Of the enemies in Sekiro: Shadows Die Twice, the Headless is quite formidable in that you won’t be able to defeat this apparition without first having a few special items on hand. 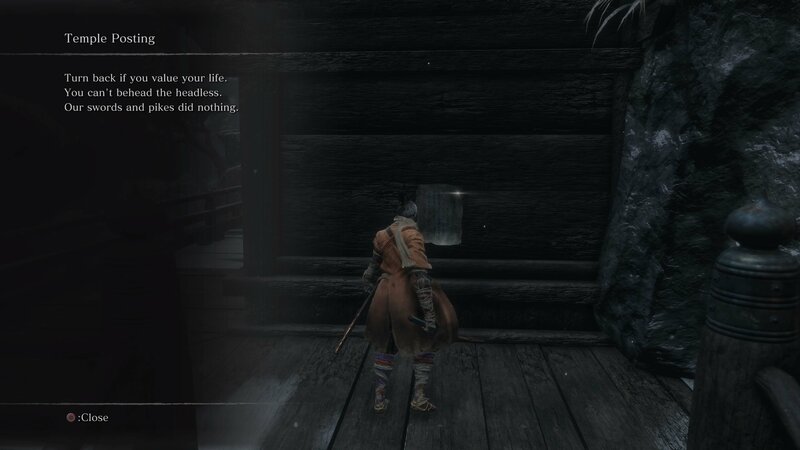 If you’ve found one of these items (like the Divine Confetti) and are uncertain how to use it, or are struggling to understand how to beat Headless in general, read on to learn how to beat Headless in Sekiro: Shadows Die Twice! 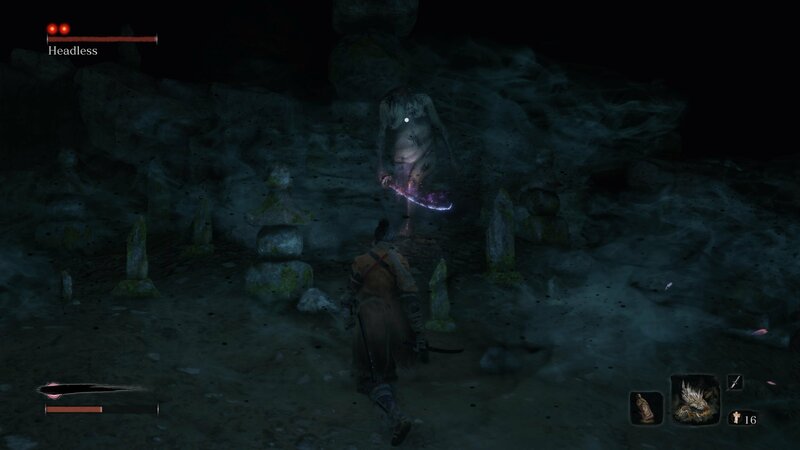 In Sekiro: Shadows Die Twice, Headless is a mini-boss “apparition” style of enemy located in the Ashina Outskirts. As many players have discovered, defeating the Headless isn’t as straightforward as it may seem. Instead, you’ll need to have two key items on hand if you’re looking to beat Headless in Sekiro: Shadows Die Twice. Of these items, you’ll need both Pacifying Agent and Divine Confetti. To grab the Pacifying Agent item, you’ll need to explore the Abandoned Dungeon area of Ashina Castle. There, Pacifying Agent has a chance to drop from enemies in the area. Note that these enemies need to be killed twice. With Pacifying Agent, you’ll be able to buff your Terror Resistance while also reducing the rate at which Terror builds. To keep track of your Terror level, keep an eye on the purple bar near the center of your screen. Like your Health bar, your Terror bar is critical as you’ll perish if it maxes out (making it extremely important to keep your Terror low). 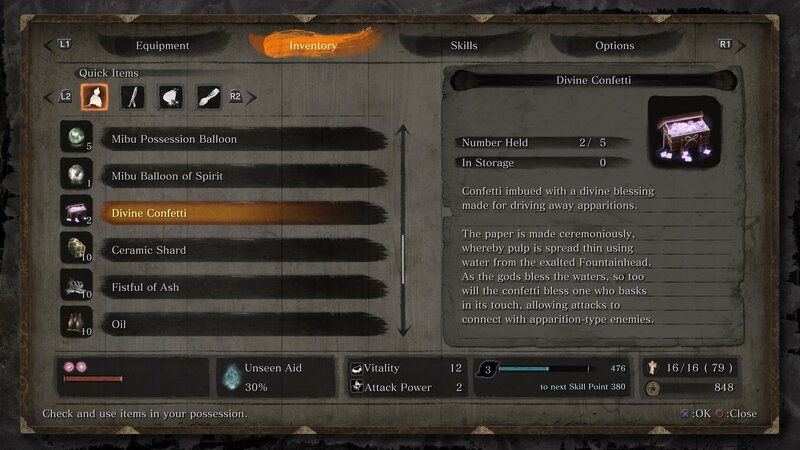 For Divine Confetti, this item can be collected in the Ashina Outskirts near the Sculptor’s Idol found outside Underbridge Valley. Specifically, we were able to pick ours up in close proximity to the Antechamber auto-save in Ashina Castle. With Divine Confetti, you’ll be able to modify your attacks in order to be able to hit apparition enemies like the Headless. Before you begin your fight, you’ll want to apply Pacifying Agent and Divine Confetti. After that, jump into the fight and begin working down the health of the Headless. Headless seems to be more dangerous from farther away, so staying close and quickly unleashing a barrage of attacks early on should give you an advantage. Keep in mind that as Terror builds during the fight you’ll want to cleanse it, heal if needed, and remember to reapply Divine Confetti and Pacifying Agent as needed. This is because, when these items wear off, you’re back to being unable to land attacks against Headless and vulnerable to this enemy’s Terror output. The best time to reapply Divine Confetti and Pacifying Agent is after you’ve worked your way through the first health bar of Headless, as Headless requires some time to regroup for the next stage of the battle. Speaking of which, the next stage of battle begins with Headless appearing directly behind you regardless of where you’re standing. Listen for audio cues and be prepared to dodge as Headless kicks off the next stage of the battle. After beat Headless, you’ll be rewarded with an item called Ako’s Spiritfall which buffs attack power and posture for Spirit Emblems. Overall, Headless shouldn’t prove to be too difficult of a challenge as long as you remember to pick up Pacifying Agent and Divine Confetti and apply them before engaging with this apparition-style enemy. For a visual guide on how to beat Headless in Sekiro: Shadows Die Twice, check out the video below courtesy of YouTube user Fextralife! Now that you know what items are needed and how to beat Headless in Sekiro: Shadows Die Twice, be sure to check out some of our previous guides including where to find the Loaded Spear in Sekiro: Shadows Die Twice, where to find the Shinobi Firecracker in Sekiro: Shadows Die Twice, and approximately how long it’ll take you to beat Sekiro: Shadows Die Twice.